The province has experienced severe weather patterns since the beginning of the year that have left a trail of death and destruction. KwaZulu-Natal’s disaster management teams have been placed on standby as severe storms are forecast throughout the province. In a statement released today, the province’s MEC for cooperative governance and traditional affairs (Cogta), Nomusa Dube-Ncube, said the South African Weather Services (SAWS) reported that severe thunderstorms had been observed over large parts of the province, including Mgungundlovu, Harry Gwala and Zululand District Municipalities, with possible heavy downpours leading to localised flooding. 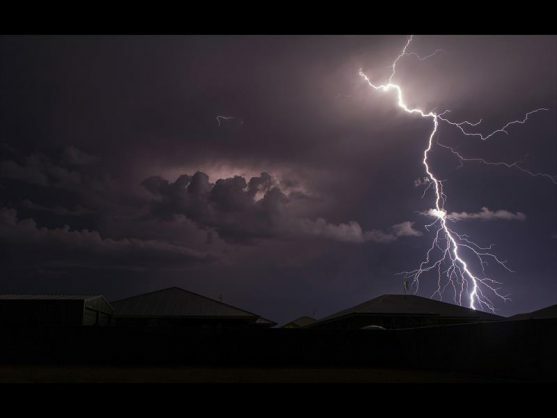 “The severe thunderstorms pose a serious risk, [particularly] to those residing in rural areas; it is therefore imperative that communities residing in areas prone to localised flooding and [lightning] strikes take necessary actions to shield themselves from the adverse weather conditions,” said Dube-Ncube. She also urged motorists to be cautious while driving. The province has experienced severe weather patterns since the beginning of the year that have left a trail of death and destruction. Recently, in the area of Ladysmith, close on 200 households were damaged by heavy rains coupled with gale force winds.